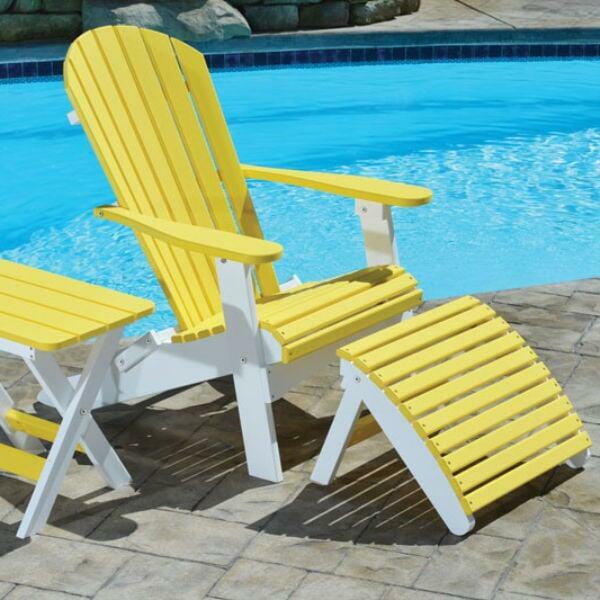 The Comfo-Back Folding Adirondack Chair is a modernized version of the classic Adirondack, and has been designed to fold to allow for ease of use. 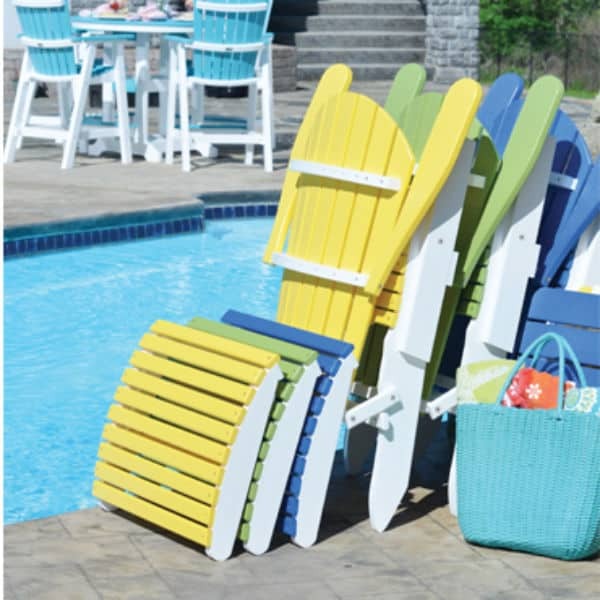 Although it appears to be crafted of natural wood, the Comfo-Back Folding Adirondack Chair is constructed of Berlin Gardens exclusive HDPE material that is made with recycled materials. This poly lumber furniture is UV stabilized and will not rot, warp, crack, splinter, or fade. Berlin Gardens offers over 20 gorgeous colors to choose from and it comes with a 20 year residential warranty! .